Looking for a modern, exciting drive? 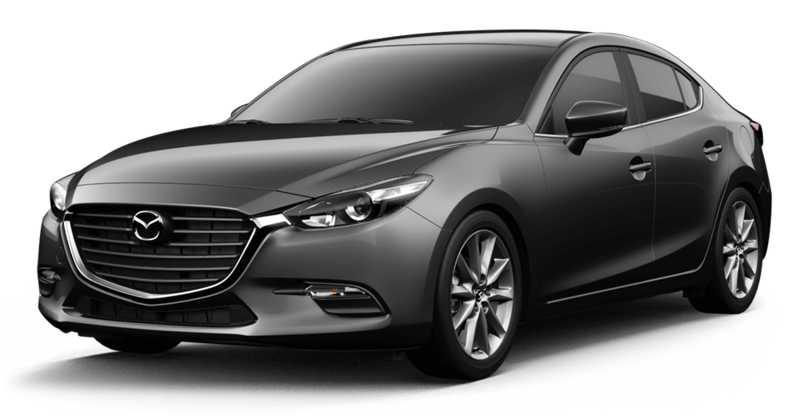 Check out the 2017 Mazda3 sedan and its three available trim levels for one unique and sleek ride. Drivers have a lot of options for customization with two different transmission styles and various features as well. Want to test out a model yourself? Come to Biggers Mazda to take a drive in the Mazda3 trim level of your choice. The Sport trim has an MSRP of $18,895* and comes with push-button start and keyless remote entry for your convenience. A rearview camera is also standard to assist with reversing and parking. A MAZDA CONNECT™ infotainment system lets you pair your phone via Bluetooth for music and phone connectivity. Speaking of phone connectivity, you can use the SMS Text-Message Replying feature that will be a great safety assistant while you’re driving. The body stands on 16-inch steel wheels, and it is accented by Daytime Running Lights. The Touring trim has a starting MSRP of $21,495* and upgrade of 18-inch alloy wheels. On top of the features of the Sport trim there is an Advanced Blind Spot Monitoring system, which will alert you when something pops into your blind spot. The system also comes with Rear Cross Traffic Alert—a feature that will warn you about traffic behind the vehicle. Leatherette-wrapped seating and a leather steering wheel gives the cabin an extra touch of elegance. Dual-zone automatic climate control will make the cabin a comfortable space to be in. Both the Touring and the Sport trims have the same 2L 4-cylinder engine. Choose the top-of-the-line Grand touring trim for an MSRP of $24,195*. This trim builds on the Touring trim level. It has a Mazda Advanced Keyless Entry, so you don’t have to worry about bringing out a stack of keys to open the door. The heated front seats in this trim have a variable setting so you can find the right temperature. Smart City Brake Support is standard, and it can brake between 2 mph and 18 mph in select conditions. The seating in this trim has a perforated leather upholstery for comfort and luxury. Music lovers can listen to tunes through the included Bose Audio System with a 9-speaker design featuring a subwoofer. During beautiful days and nights, you can open the power moonroof for an extra breeze or additional lighting. We recommend this trim if you are searching for more power than the other two trims. Find the Right Mazda3 Trim for You at Biggers Mazda! 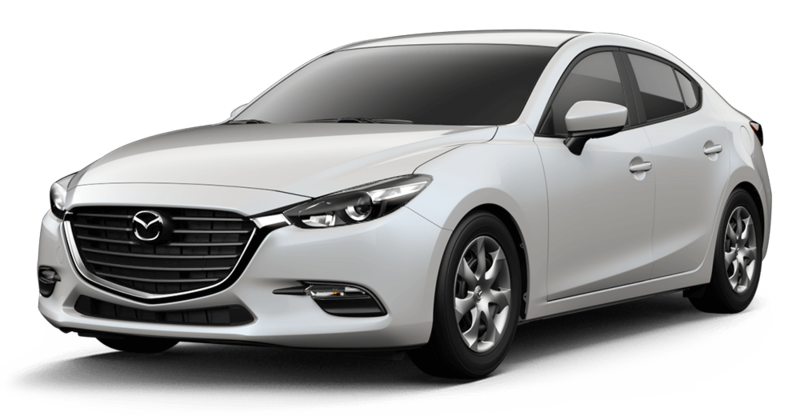 Don’t miss out on the exciting 2017 Mazda3 and its three available trim levels. Biggers Mazda would be happy to help you discover which model is the right choice for you. To get started, contact us online, schedule a test drive or find out more information! *Excludes taxes, title, license fees, and $835 destination charge (Alaska $880). Actual dealer price will vary. See dealer for complete details.